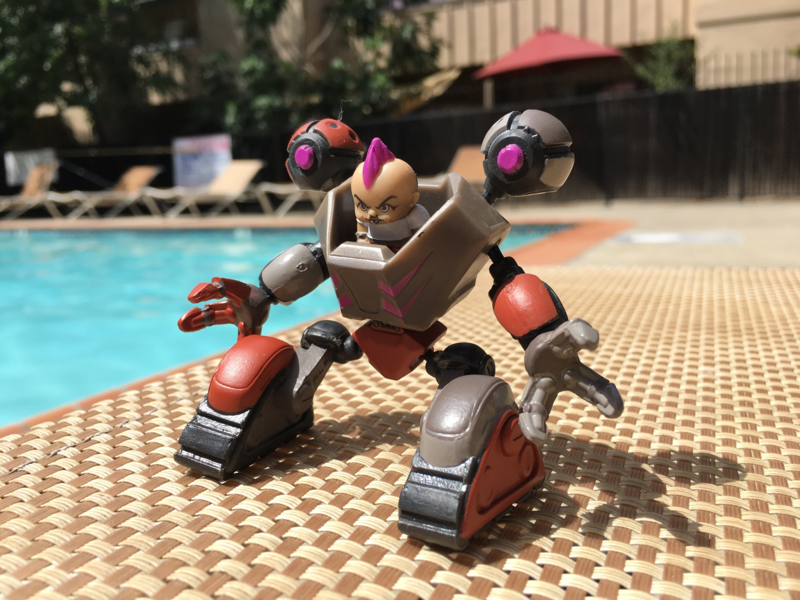 It’s time for Ready 2 Robot, a toy line that just sort of appeared from out of nowhere about a month ago and now is surprisingly everywhere. Well, Wal-Mart and Target. 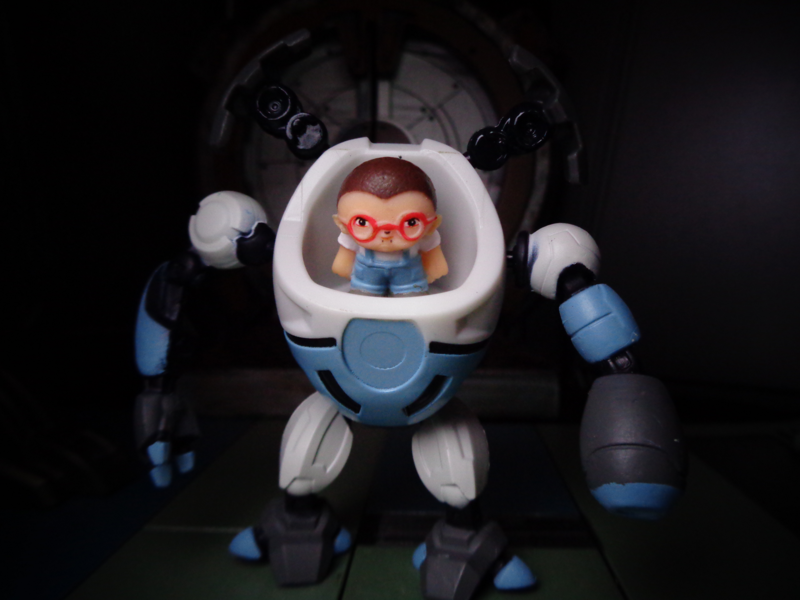 It’s a great idea, though – mecha robots with little pilots, interchangeable parts, some slime… hey! So, I picked up a few. Since their packaging is surprisingly complex and part of the experience, this review has one of my rare and special VIDEO UNBOXINGS! Take a looK! And then read on for more pictures. 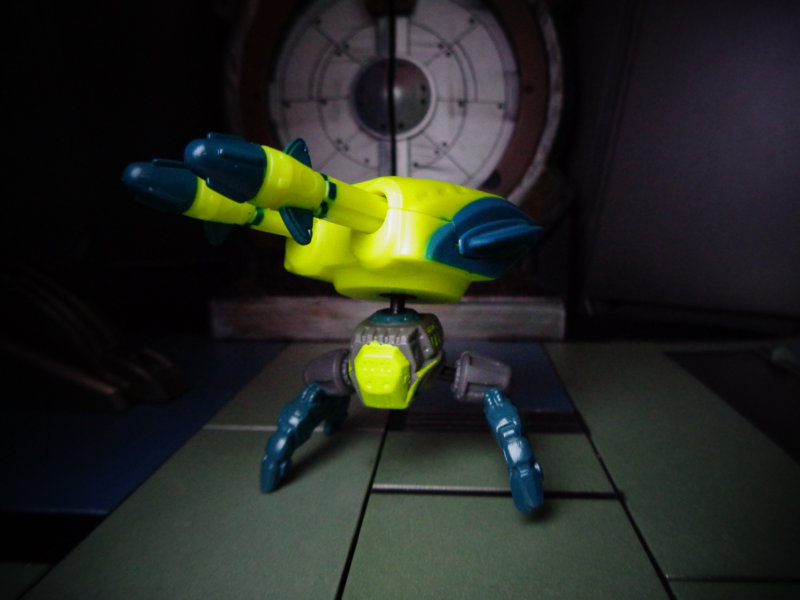 Anyway, along with the blind packs you see there, these figures also come in battle packs (two predetermined figures, one “blind,” and one bonus missile launcher), bot blaster packs (one predetermined “blind” mech and pilot, one missile-launching gun turret), and pilot packs (four blind-packed pilot variants in slime). I picked up some of the battle packs and one bot blaster, so you can see those as well. Let’s take a look at some of these figures! Kill Switch, who appears to be wearing headphones, is the mech I’ve gotten the most of. Kind of sleek, spider-legged, and with sword shoulders, it was the first one I pulled, and now I sort of view this as the “default.” The only other double I’ve gotten is Kook, haha. Mama’s Boy is just hilarious. 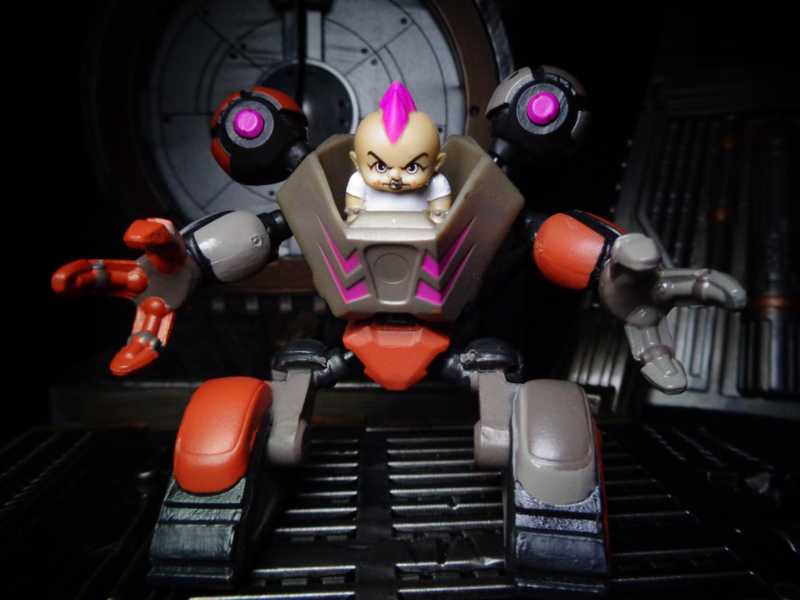 We now live in a world with Battle Babies, after all. 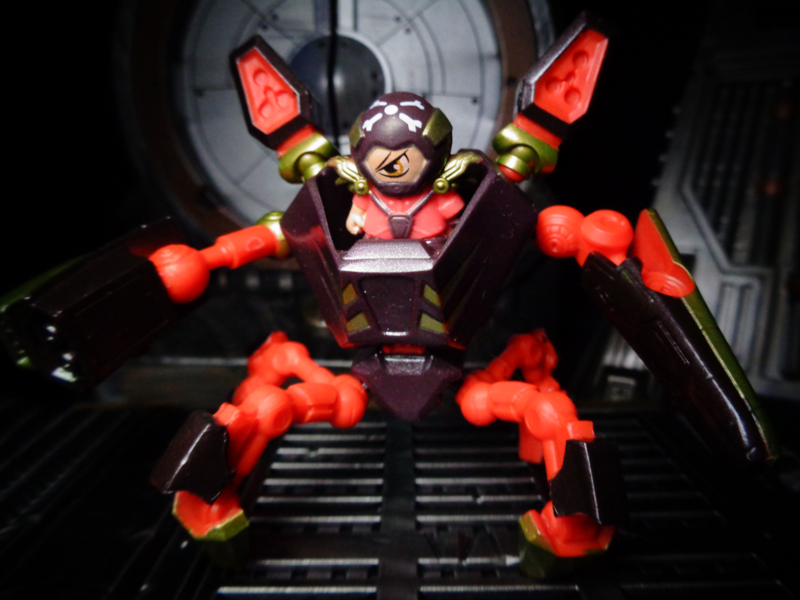 This one gives off some pretty strong Captain Commando vibes, if you’ve ever played that old arcade game. Hamstrong is another pretty good competitor for favorite in the line. 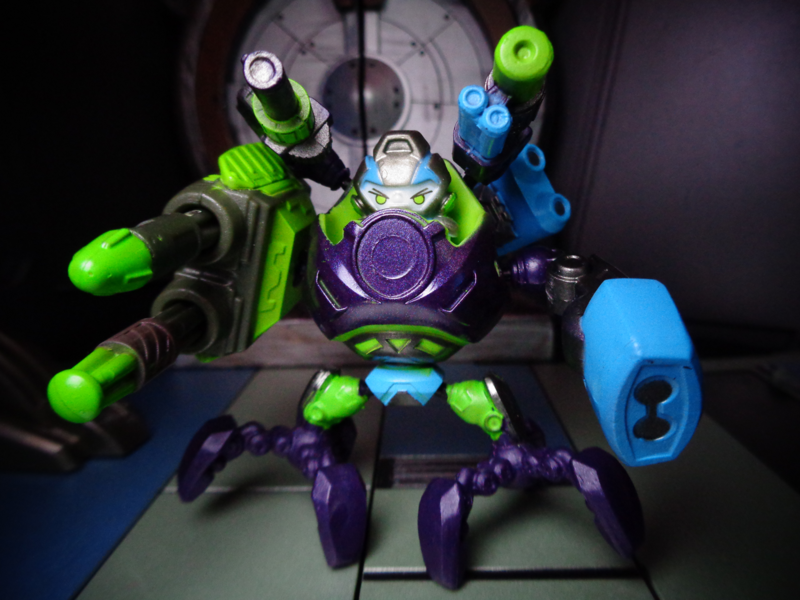 One of the pilot-only repaints of this guy is blue, and it’s a surprisingly awesome space pig. 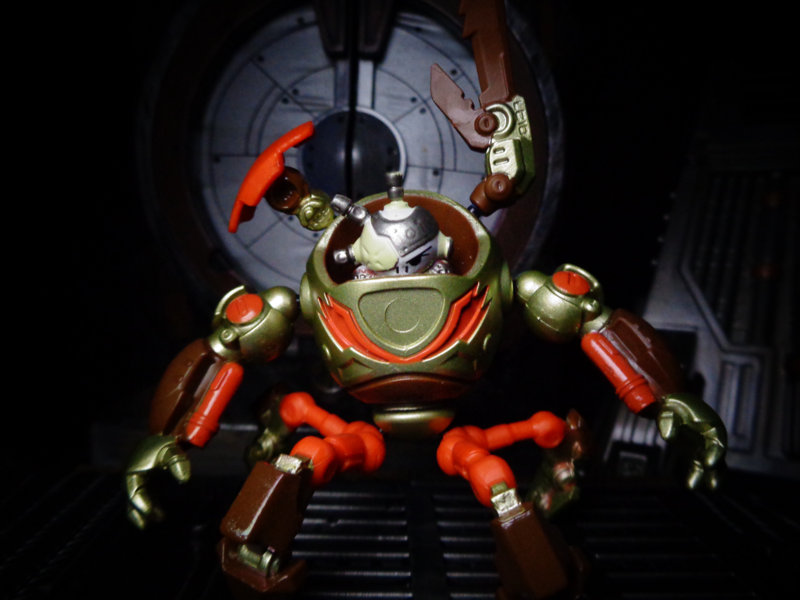 Notably, Hamstrong has one of the most “normal” mechs. Blast Radius has so many buzzsaws! 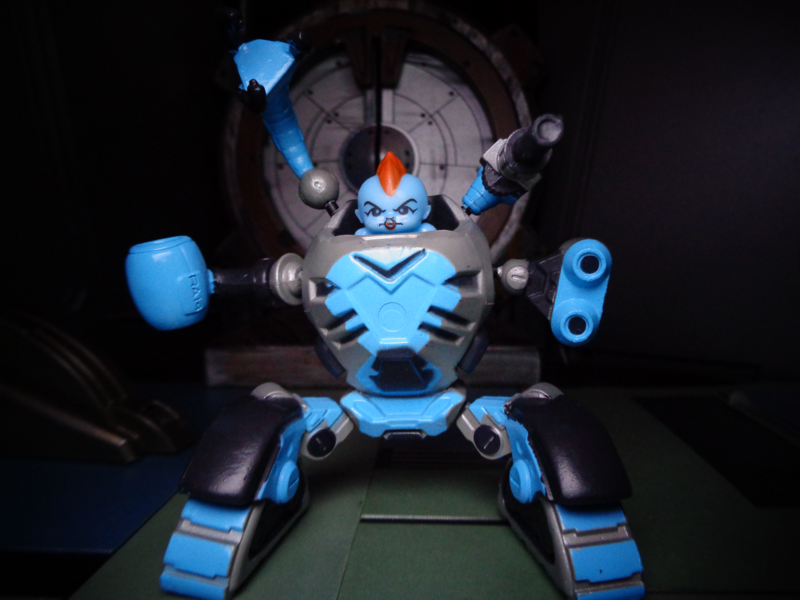 As noted in the review, his paint is flaking pretty badly – I had this figure on my person when I spent about five hours at the DMV recently, and apparently that was enough for wear and tear to show. 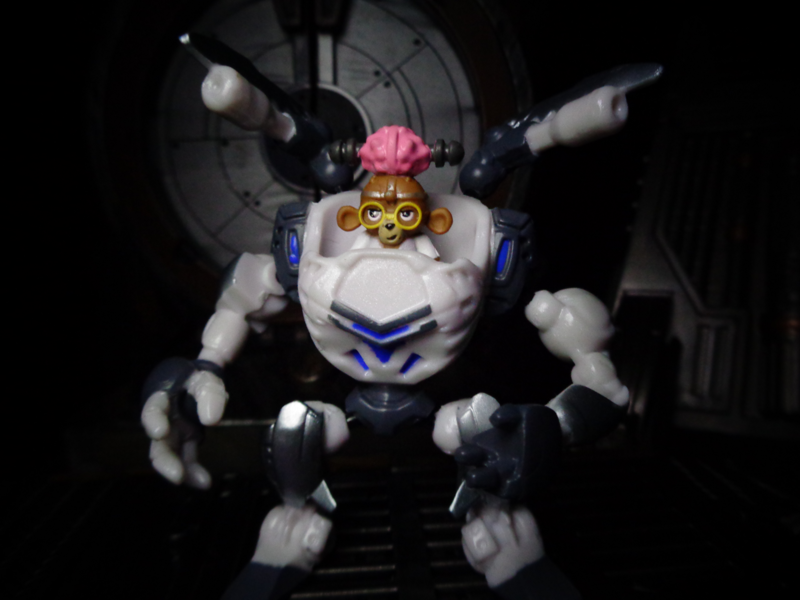 Kook is a monkey with his brain on the outside who pilots a mech. 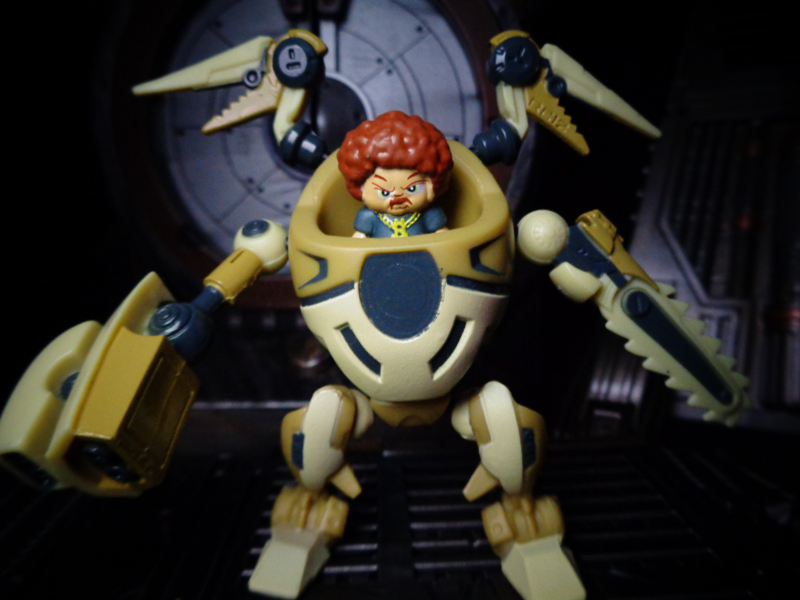 That’s the kind of toy line this is. Most of the pilots and robots in this line are pretty cool. And then there’s this jabroni. Wedgie honestly deserves his name. 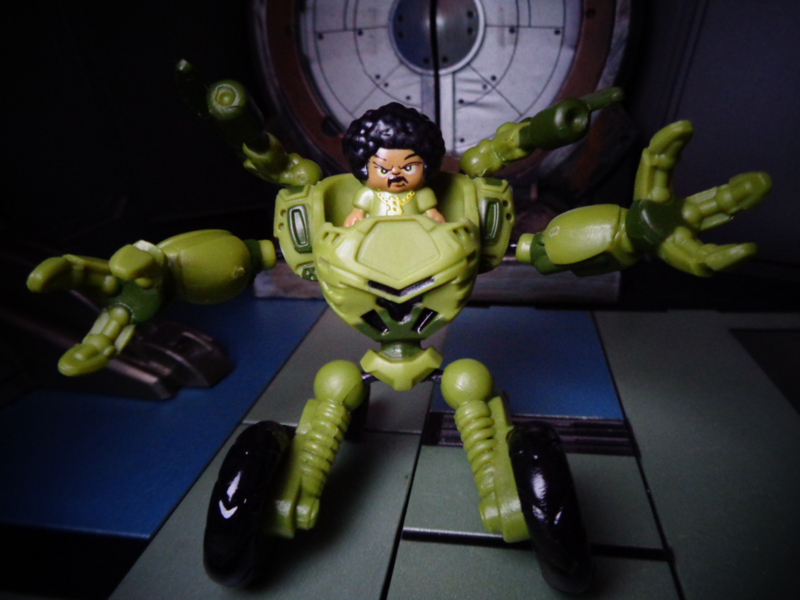 Recess is a repaint of Wedgie, with a much more intimidating (and wheeled) mech. Don’t tell ‘Stache that disco is dead! Ice Money might take the news a little better, though. 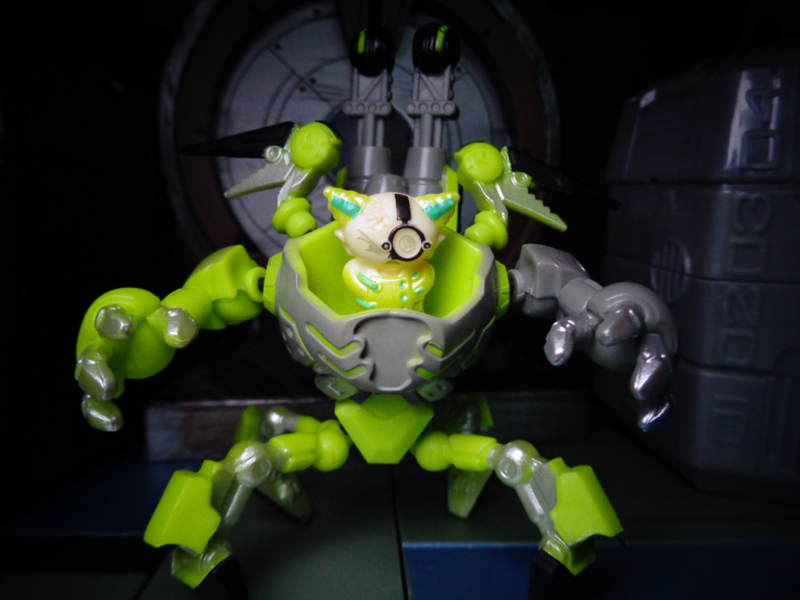 You may notice at this point that there are reused, repainted parts int his line. It’s all right, since each configuration is significantly different, and plenty of these robots get creative with what they’ve got! Salvager’s got a lot going on. 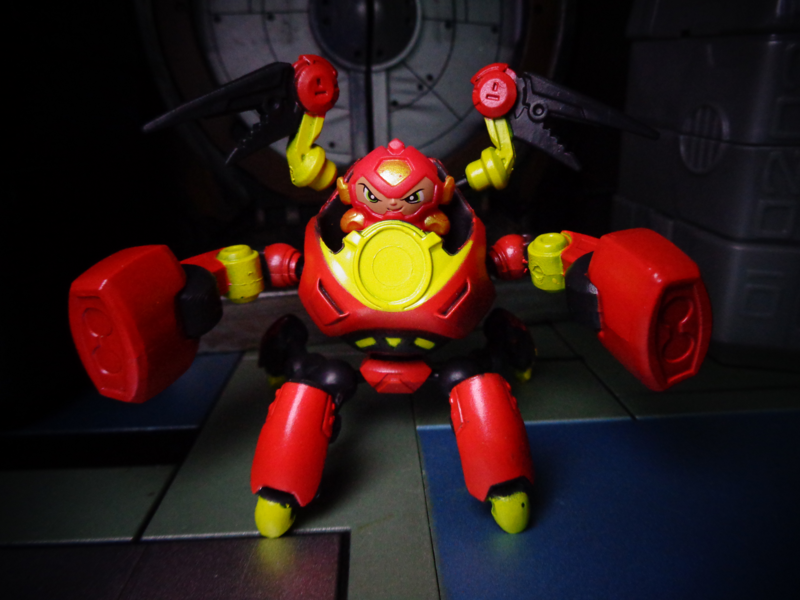 Aside from the really cool spider-like mech, notice that he’s a cyclops. 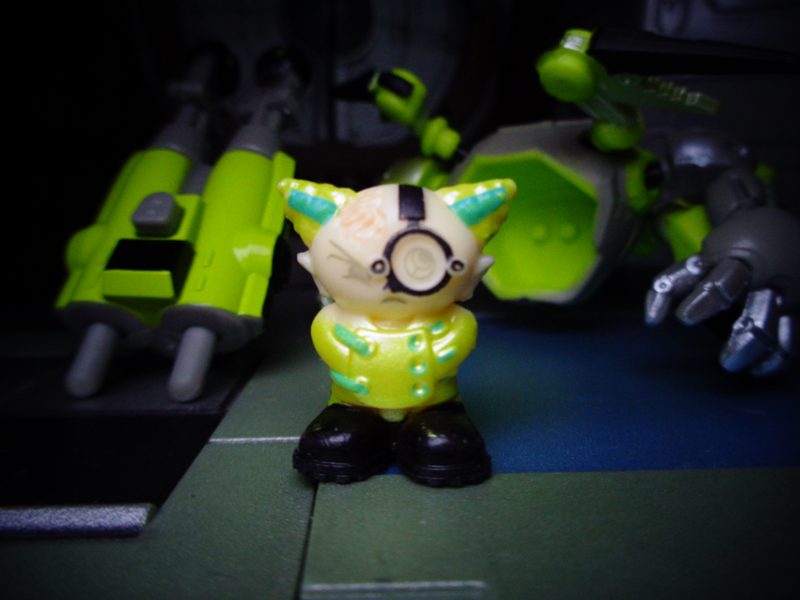 It’s not a mistake, there are a couple of repaints of this sculpt that stick with the one-eye theme. Oil Can is asymmetrical! Same deal with the pilot, too – it’s nice how they carried that theme across. And yes, more spider legs. There are like three or four different varieties of those. From this point on, let’s step away from the blind-packed bots, and look at the blasters and battle packs! This is a Bot Blaster. 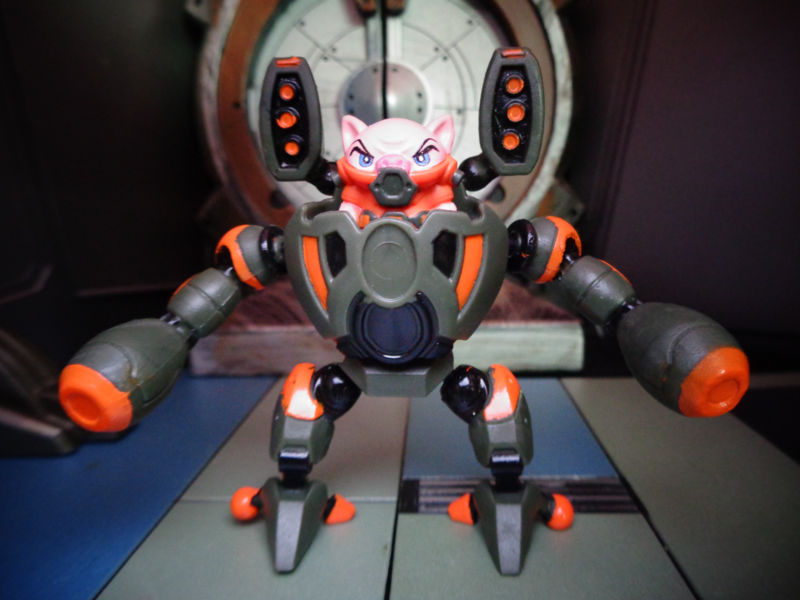 Yes, the individual pieces do plug into robot ports if you want, though it also works as a mobile turret drone. 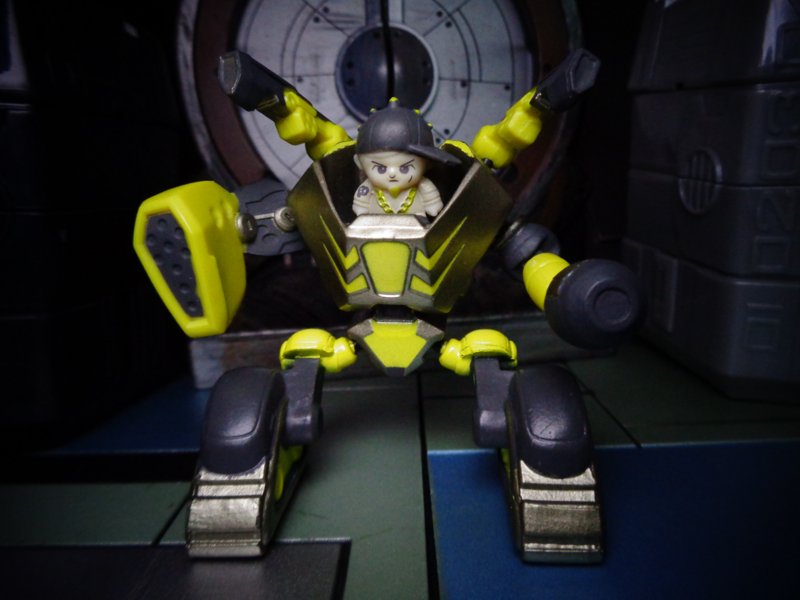 Each different Bot Blaster has its own style, this is just the yellow one. Now, the packs keep their figures inside a mystery, but they aren’t blindly-packed. 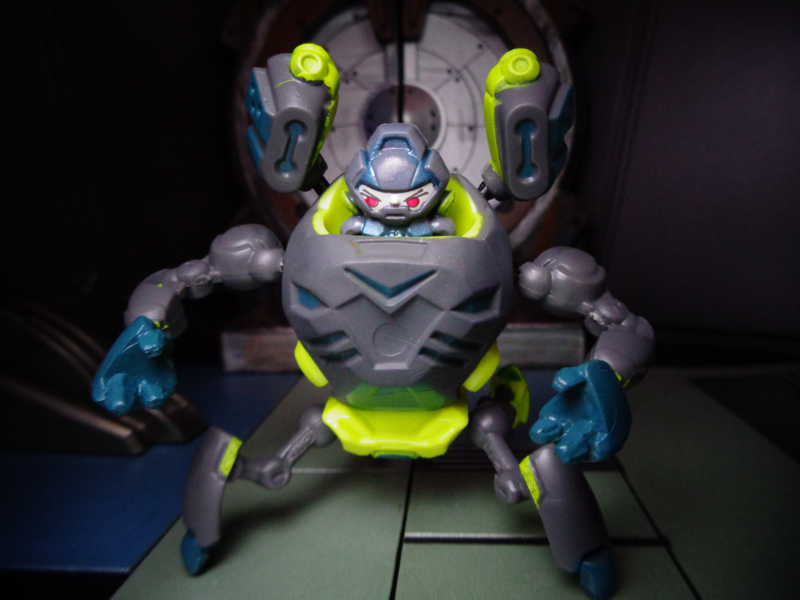 Which Bot Blaster comes with this one? Moonshot! 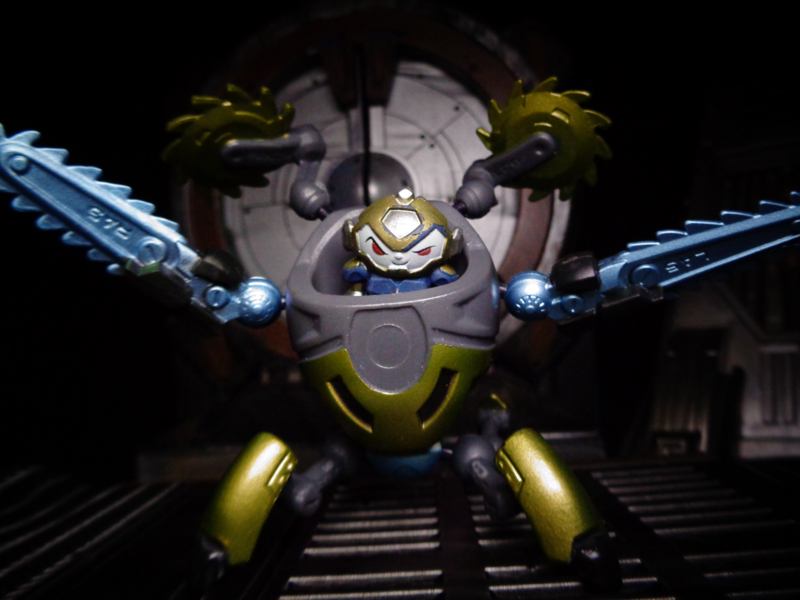 Rotund and spindly, but pretty cool when accompanied by his missile-launching turret. And yes, the guns are spring-loaded. Okay, so that was the only Bot Blaster pack I could find. Let’s have a look at some of the Battle Packs, next! Helmet Hedd is pretty clearly Nebula. Nice theme! I replaced an arm with the launcher, and plugged the arm thus into the robot’s back, as you can see. Okay, Hardware is Iron Man. And no, not everything is a Marvel rip, just these few. This guy also seems to be sort of a series mascot, as he is all over the packaging art. Coach comes packed with Hardware, and is an afro guy in football colors. Why do we look at this and think “football?” because nobody else in their right mind would ever wear that combination. Hear me out, but I’m pretty sure that Mongo is just John Cena with a robot. 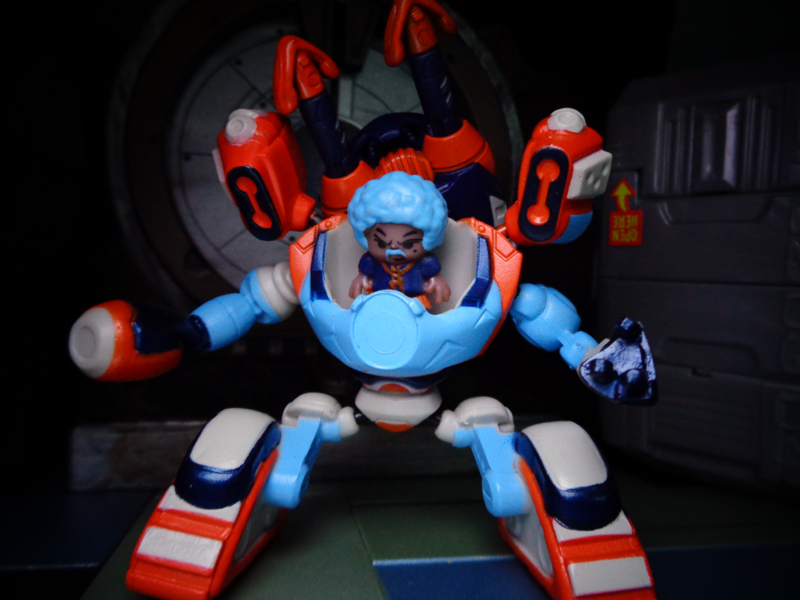 Brain Strain uses the mad scientist mold – with Bozo the Clown hair, part of his brain exposed, and a strait jacket! yeah, that’s another favorite style, right there. Also, dig that neon yellow. His missiels have rounded tips, too. 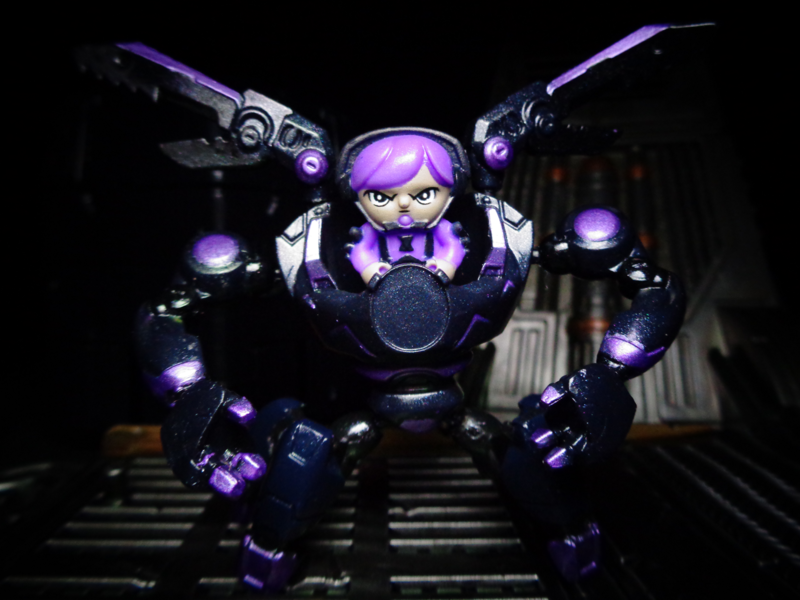 The pilots are great little mini figures on their own – jut watch out for that paint! Well, there you go! Although these figures are a little expensive for the size, it’s honestly not a super-unfair price. 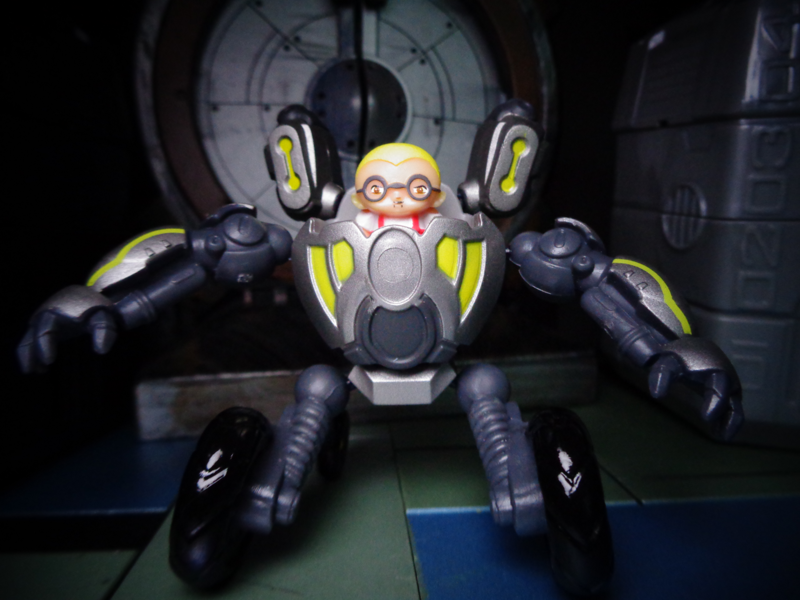 The pilots are a little more rubbery than I would have liked, but those robots are legit! 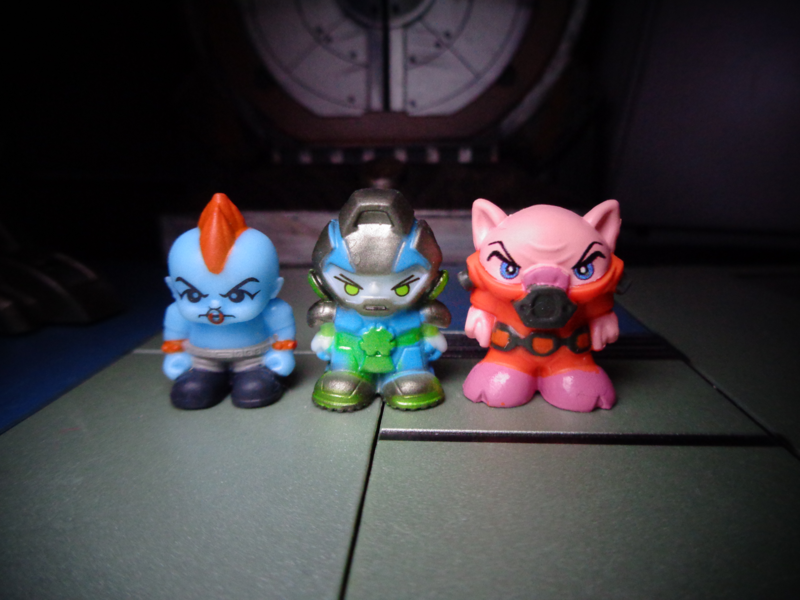 The pig and baby are strangely excellent designs, too – it’ll be interesting to see how far this toy line goes!